North Korea successfully tested an intercontinental ballistic missile for the first time on Tuesday, Fox News television reported citing US officials. WASHINGTON (Sputnik) — Pyongyang launched the Hwasong 14 missile earlier on Tuesday. 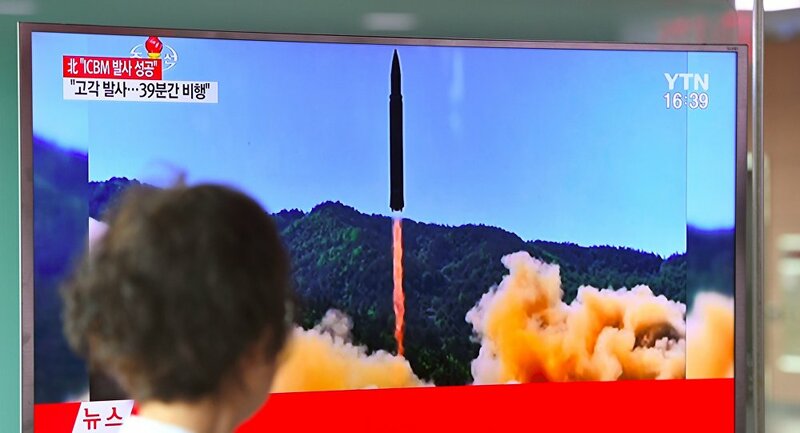 The missile's 37-minute flight totaled 933 kilometers (580 miles) and reached a maximum altitude of 2,802 kilometers, according to North Korean media. "The ballistic missile flew longer than any North Korean missile test conducted by the rogue regime to date, US Pacific Command said — meaning Kim Jong Un's dictatorship may now possess the ability to strike Alaska," Fox News said in a report. However, earlier in the day, the Russian Defense Ministry issued a statement revealing that, according to their intelligence, North Korea launched a medium-range ballistic missile.